Unidentified (Syrphid Fly Larva and Pupa) - imm. Size: approx. 4 mm. Photo: 08/26/11, 10 am. 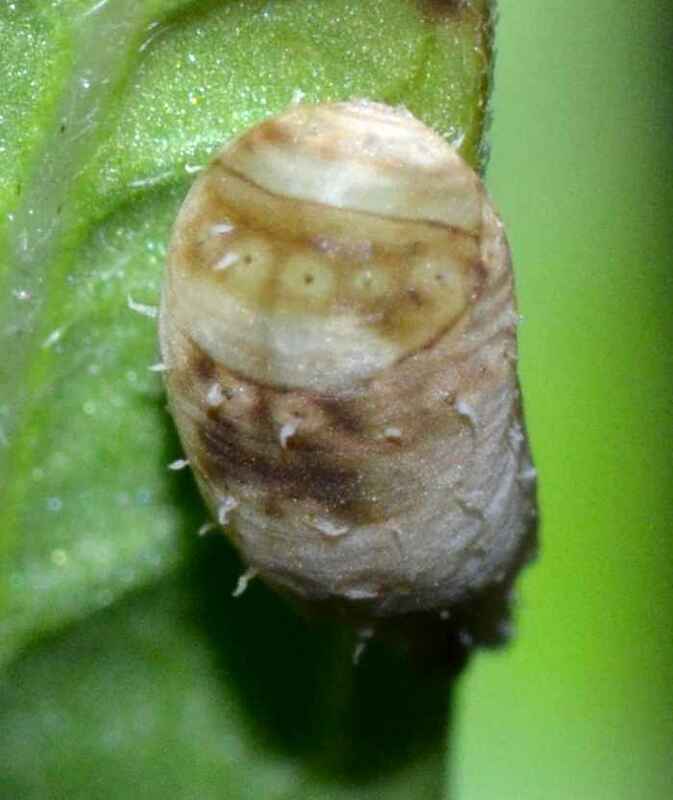 The large photo shows a predatory larva of a hoverfly. 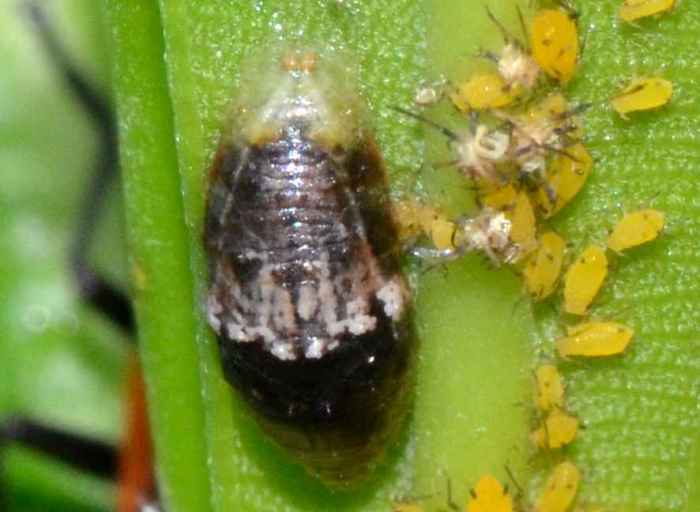 It most likely feeds on the yellow oleander aphids. The small photo was shot on 08/22/11 (8 pm) at a different location in my yard. It shows a hoverfly puppa.